Stanley J. Roszkoski U. S. Courthouse in Rockford, IL. artist Tony Feher created Super Special Happy Place for the U.S. 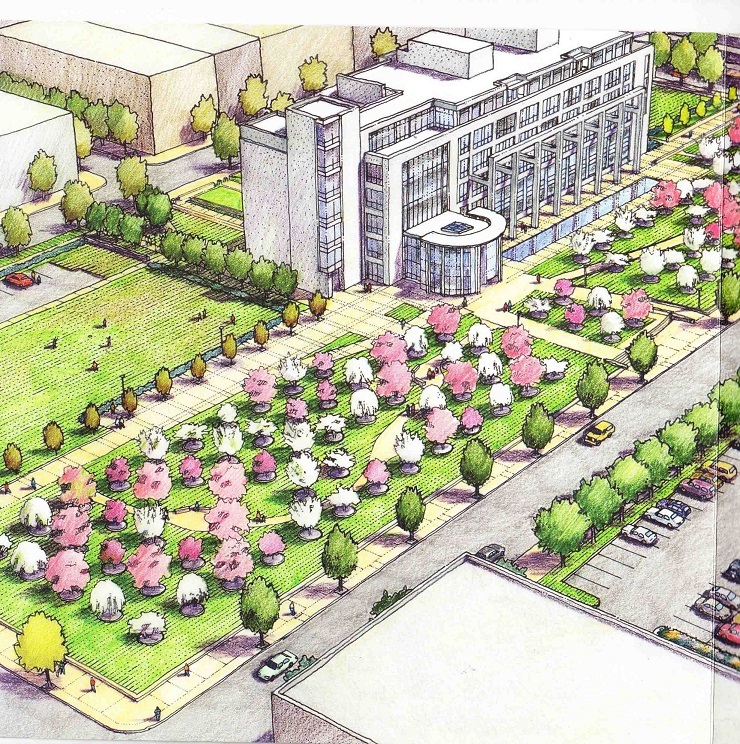 Courthouse, a park-size sculpture of 104 flowering crabapple trees, crushed granite pathways and simple concrete benches. Tony Feher, born 1956, in Albuquerque, New Mexico, was raised in Corpus Christi, Texas, and earned a B.A. degree from the University of Texas in 1978. He has lived in New York City for more than 3 decades. Super Special Happy Place is Feher’s first permanent, public installation. Publication of GSA Art in Architecture Panel, 2014. Photography by Nels Akerlund.